Ben Litster is in unstoppable form at the minute and no projects are safe! We had shown him the new gritstone venue of Craigmaddie and he ignored pretty much everything and bee-lined for the unclimbed direct on the Sheep Pen roof. This was the direct challenge from the pocket of the classic 'Abracadabra' and he named it 'Alchemy' (Font 7c), continuing the ambient theme of magic. He took a few visits to work out the new counter-intuitive sequence through slopers and crimps to make a satisfying slap for the top, all captured in rasping sound detail by Pete Murray for 'Elelments'. We'll be showing this film at a launch in late March, along with other stunning first ascents in the Lost Valley, Glen Nevis and the North East... plus the new guide will cover all these new areas! I used to see Dave MacLeod all the time at Dumby, if I was out for an hour at this time of year, he'd be under some dark roof, beavering away at a new sequence on another new line. It was odd to be walking through the gorge at Glen Nevis last Friday, on my way to the remote Meanach bothy for a night with 5kg coal and some city-dissolving spirit when I spied Dave hunkering under a boulder in the gorge, tripod on the path to film another first ascent of a classic bouldering line! Claire was wrapped in duvet, busy being photographer and Dave had just climbed the oft-spied crack line on the large boulder blocking the top of the gorge by the Meadows. 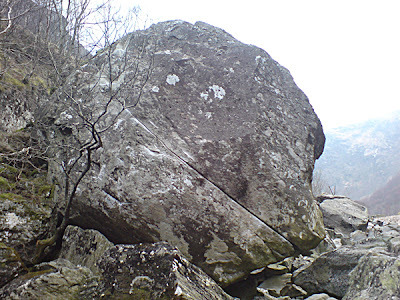 A superb-looking layback sequence on this smooth rock gains the blank scoop on the front face where the crack dies out, from here tenuous slopers and blind feet proved the crux above a landing of precariously-balanced pads. Dave thought it a superb Font 7c and one for the connoisseurs of European-style boulder problems. He named it 'Saturn Crack'. The undercut wall left of 'Optimus Prime ' started with right hand on arete and left on a high good crimp. Use good hidden crimp to gain obvious hand rail then edge of little hanging groove to gain the top, higher than it is hard an excellent problem. 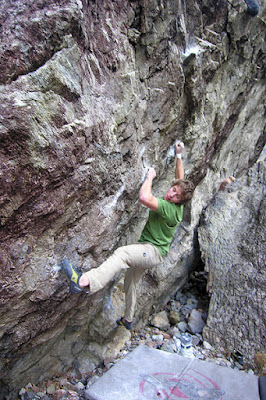 SDS V7 (7a+) as Optimus Prime but swing left around the arete to gain the standing start crimp. I'm just updating the main website www.stonecountry.co.uk with new material, including lots of topos that didn't make the new guide (eg. The Whangie is downloadable in Pdf A4 format on the Clyde page), as well as lots of recent new movie clips of classic problems. 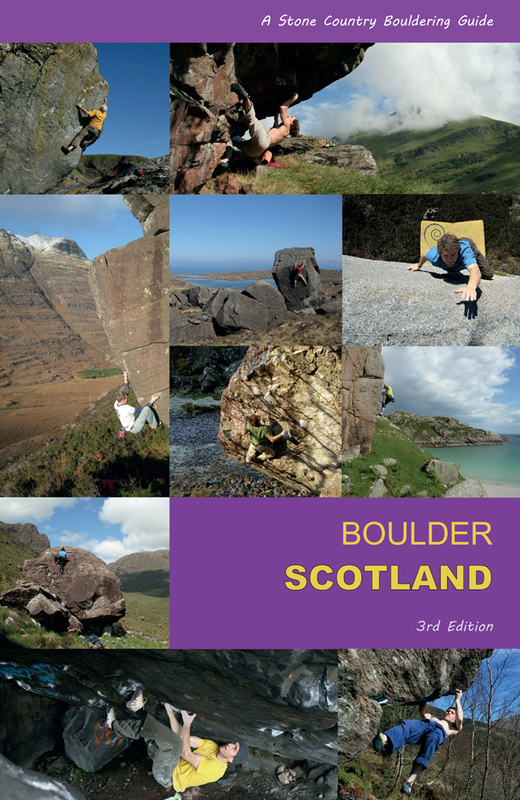 I'll continue to add more material to the site to complement and update the Stone Country Guide to Bouldering in Scotland, which is just about to be published and can be advance ordered from the Books page or the Paypal link on the sidebar - you benefit from Freepost if you order now! There'll also be a launch for the new guide in Glasgow at the end of March, along with a preview of the new Bouldering in Scotland movie by Pete Murray -'Elements' - which will feature some of the best venues and hardest problems in the country, as well as some insightful exploration into the various 'elements' which all go into making bouldering adventurous, magical and meaningful in Scotland. 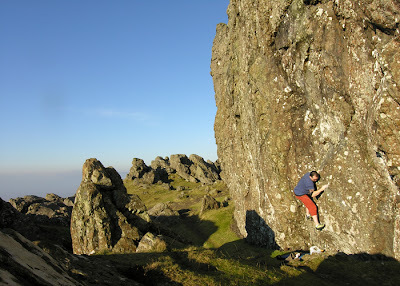 So the weather has become spring-like and perfect for bouldering, a time to get to your favourite places if you can escape work! The Whangie is a beautiful place to hang out when the weather is like this, yesterday I had a full cloud inversion with only the distant peaks of Ben Lomond, Ben Vorlich etc. joining me in the clear blue air above the mist. 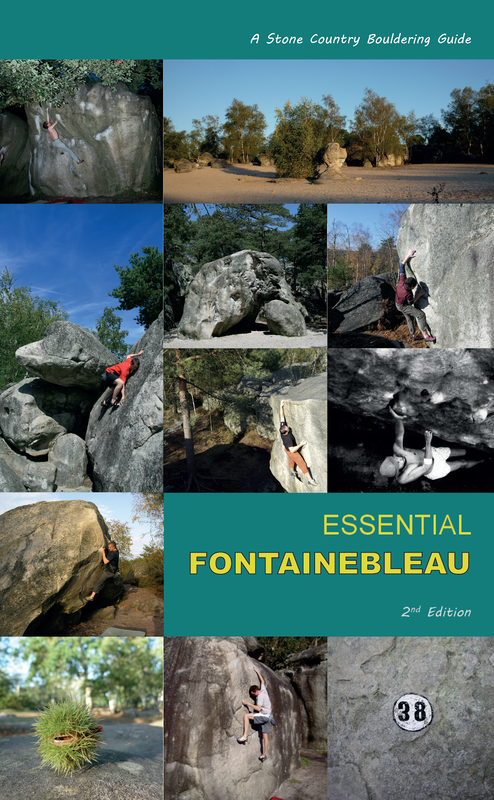 I did the circuit of the best problems here, which I've topo'd for the curious on the main site, with about 14 quality independent problems up to font 6c+. Attached is a wee video of the excellent new problem 'Rune Wall'. 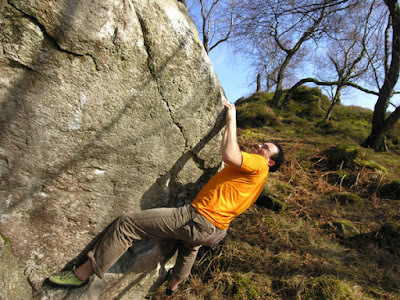 Tim Rankin has shown a fresh burst of energy and strength early in the season to claim the North East's first major boulder problem of the year - Optimus Prime - with an ascent of the dramatic and highball prow at Cammachmore south of Portlethen. This oft-spied line was thought to have an impassable blank section, but Tim managed to find a solving sequence on brushed edges, arete clamps and poor slopers... he says it goes at about V9 but Tim is unsure of the grade as the climbing is so unusual and specific, just expect it to be well hard! 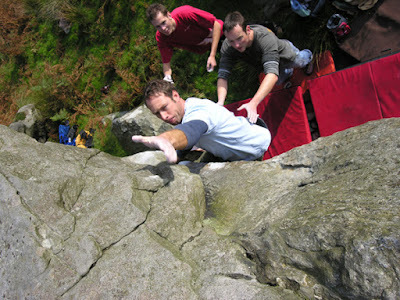 Tom Kirkpatrick filmed the first ascent. Named after his son's skills with the daddy Transformer, which leave most adult visitors gobsmacked, same as the problems!